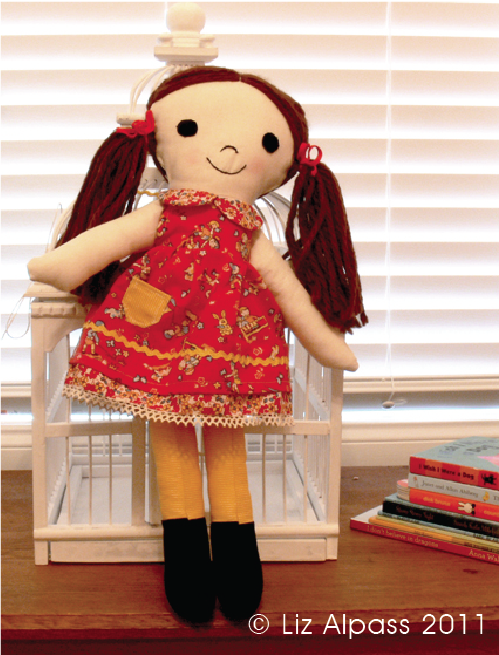 When my good friend Bee over at Honey Jumble had her baby Elora, I decided to make her a rag doll. Once again I am not good with patterns and I couldn't even find a pattern - so I just winged it and made my own up! I was quite happy with the result. Not perfect, the stitching was a little dodgy but overall I think she is quite sweet. What do you think?